Card Text: Enchantment spells you cast cost 1 less to cast. Whenever you cast an enchantment spell, you gain 1 life. Oracle Text: Enchantment spells you cast cost 1 less to cast. 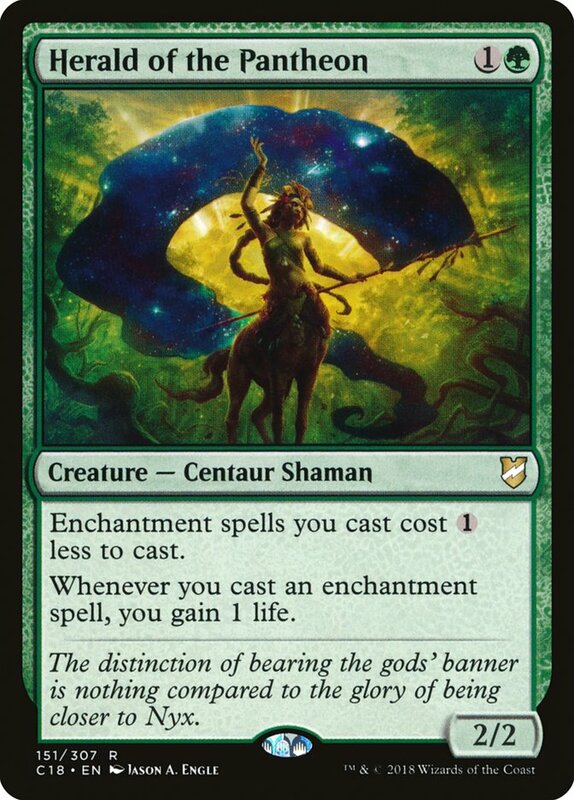 Flavor Text: The distinction of bearing the gods' banner is nothing compared to the glory of being closer to Nyx.